Gaspar, El Lugareño: "The Cuba Study Group today applauded steps taken by the governments of the United States and Cuba, which can help improve long-strained relations and improve human rights and the quality of life for Cubans"
"The Cuba Study Group today applauded steps taken by the governments of the United States and Cuba, which can help improve long-strained relations and improve human rights and the quality of life for Cubans"
Washington, DC- The Cuba Study Group today applauded steps taken by the governments of the United States and Cuba, which can help improve long-strained relations and improve human rights and the quality of life for Cubans. “We have long-advocated for steps that improve human rights and opportunity for the Cuban people and which break the isolation between our two countries. The steps taken today by the governments of the U.S. and Cuba are historic steps in that direction,” said Carlos Saladrigas, Chairman of the Cuba Study Group. In February of 2013, the Cuba Study Group released a whitepaper titled: “Restoring Executive authority over U.S. Policy Toward Cuba,” which called for the lifting of Helms-Burton and called on the President to take eleven steps to promote change in Cuba, including: modifying remittance and export limitations, authorizing travel by general license, establishing new license for the provision of services to Cuba private entrepreneurs, authorize the export and import of of certain goods and services from private entrepreneurs, expand telecommunications and banking services and review Cuba’s designation as a State Sponsor of Terrorism. 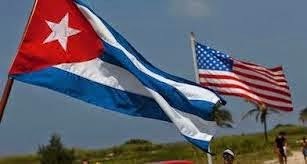 In May of 2014, members of the Cuba Study Group joined thirty-nine foreign policy, defense and intelligence professionals in calling on President Obama to take executive action provide openings and opportunities to support the Cuban people in their day-to-day economic activities.